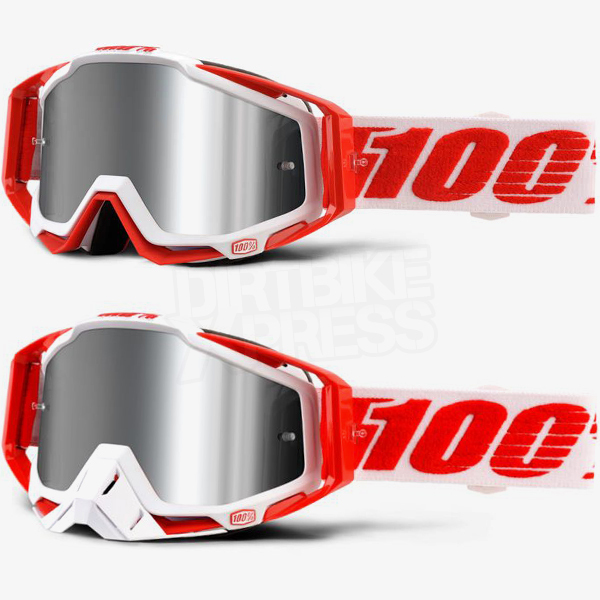 100% Racecraft Plus Premium motocross goggles are brought to you by 100% (Ride 100 Percent). 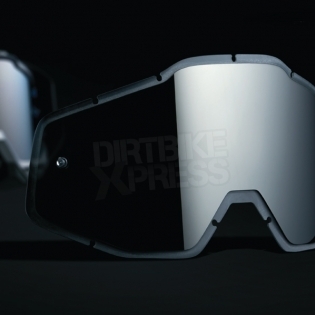 The addition of a pre-curved, injected polycarbonate lens increases visual clarity and protects against the demands of today's racing conditions. A new, elevated lens retention wall ensures the Plus + shield lens stays secure in the goggle frame. We've also increased the face foam to four layers for the ultimate sweat absorption. 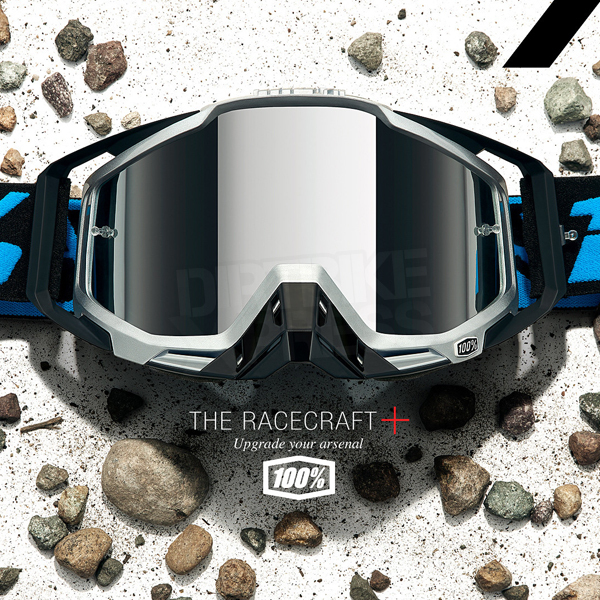 3 - Foam: Thirsty four layer moisture managing foam helps to keep the sweat out of your eyes. 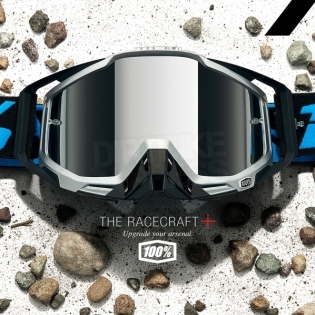 5 - Strap: The Racecraft Plus goggle has a strap that’s as wide as a landing strip. At 45mm wide, the elastic strap is robust. It’s also has a wide bead of silicone prevents the massive strap from sliding. 7 - What's in the Box? 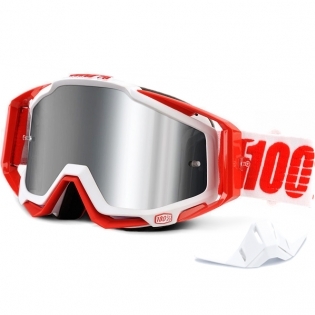 : The Racecraft Plus goggle arrive with a Noseguard & Sublimated microfiber bag. Buy 100% Racecraft Plus Motocross Goggles at Dirtbikexpress, the UK's favourite motocross store.